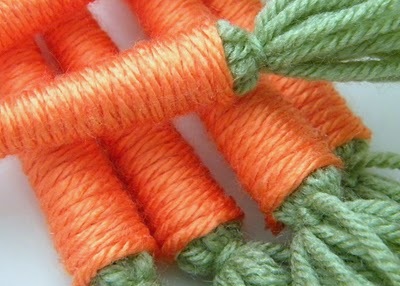 Decorate Your Spring Wreaths with Carrots! With cardboard, yarn and tacky glue, this is a perfect project for your kids. Cute idea. I have my son home sick tomorrow and I think we’ll have to try some of these.